Explore Cinque Terre without the hassle of planning on a day tour with convenient round-trip transport from Florence. In addition to navigating for you, your guide provides inside recommendations on the best spots to relax, dine, and explore. 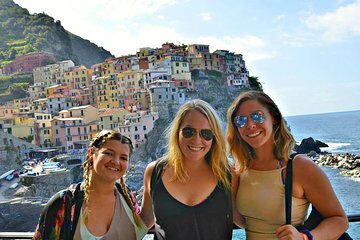 Unlike most large-group day tours, this trip affords you the ability to customize the day’s itinerary to your own interests, whether you want to swim or eat in Moterosso (own expense).